Fran Spector Atkins is the Artistic Director of SPECTORDANCE. Her mission is to heighten awareness of contemporary dance through education and performance. Spector Atkins promotes this mission though a variety of programs including the School, Company, Community Outreach, Creative Projects, and The Emerging Choreographers Showcase. Academically, her credits include a B.S. in Occupational Therapy from Boston University, an M.F.A. from Mills College in Dance and Choreography and Certification in Laban Movement Analysis from the Laban/Bartenieff Institute of Movement Studies (New York City). She began her professional career in New York City where she performed with the Incredible Journey Dance Company and the Mariko Sanjo Dance Company. 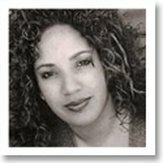 Since 1977, she has been an independent teacher and choreographer. She directed her own schools in NYC, Cleveland, and Monterey. She has been invited to guest teach, choreograph and perform throughout the United States and abroad. Some of her outstanding experiences include guest teaching and presenting her choreography at Oberlin College, Brown University and in Denmark, Egypt, England, Israel, the Island of Guam and Taiwan. Spector Atkins is founder of THE EMERGING CHOREOGRAPHERS SHOWCASE, an annual summer festival of dance that invites guest artists to teach and perform at the SpectorDance Performance Space. The event is attracting applicants and audiences from around the globe to the Monterey Peninsula. Spector Atkins has received numerous awards including the Dewars’ Young Artists Recognition Award for Choreography for the State of California. Her work has been funded in part by the AT&T Pebble Beach Youth Fund, Arts Council of Monterey County, Community Foundation for Monterey County, Katie and Drew Gibson Fund, Harden Foundation, James Irvine Foundation, James Tunney Foundation, Richard MacDonald Studio, Monterey Peninsula Foundation, Packard Foundation, Puffin Foundation, Theater Bay Area Dance Alliance, and many other local businesses and individuals. Spector Atkins collaborates with William Roden, media specialist, to develop works that blend dance, live music, spoken word and visual technology. Their projects expand knowledge and awareness of our community and our world, engage diverse audiences through subject choice, increase reach through film and TV, and highlight outreach for underserved audiences. Spector Atkins is acknowledged locally and beyond. 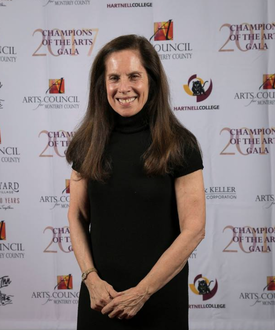 In November 2006, Fran was featured in Carmel Magazine as one of 10 individuals making “altruistic contributions to the community.” In January 2007, SpectorDance was honored by The Arts Council for Monterey County as the Outstanding Arts Organization in Monterey County. In January 2007, she received funding from The Community Foundation for Monterey County to attend the Arts Presenters Conference in New York City. In February 2008, SpectorDance was selected as a finalist for the Ovations TV award for “Excellence in the Performing Arts.” Fran is working as teacher, choreographer and presenter to promote dance as a vibrant art form that can express all aspects of the human spirit as a force for positive change and growth in community and to establish Monterey County as a new West Coast Center for contemporary dance. Amy Byington began her dance training (ballet, jazz, modern, character and tap) at the Royal Academy of Fine Arts in Houston, Texas. She has performed with the Clear Lake Metropolitan Ballet and Galveston Ballet, dancing various roles in The Nutcracker, Coppelia, Cinderella, The Sleeping Beauty, Swan Lake (Act II), Giselle and Don Quixote. Amy has studied under Leo Ahonen, Soli Arvola, Keith Cross, Luis Fuente, Myrta George, Lynette Mason, Richard Munro, and Beverly Williams; and has worked with choreographers Amalie Hunter and Olga Kostritsky. In 1994, Amy received a scholarship to study at the Joffery Ballet School and Broadway Dance Center in New York. Amy came to SpectorDance in 2006 to share her love of dance by teaching ballet classes to all ages. In 2009, she accepted the role of Assistant School Director, 2015 Director of the Youth Company, and in 2017 School Director. Amy holds a B.S in Marine Science from Texas A&M University and a M.S in Marine Science from San Jose State University. She is a senior analyst and research technician at the Marine Pollution Studies Laboratory at Moss Landing Maine Laboratories. Jahnna Biddle is a choreographer, director and performer. Jahnna brings imagination and creativity when it comes to choreography, dancing, and teaching. She has been honored with many awards not only for dance and choreography, but educationally as well. Her training is extensive and her mentors are incredible and have been a great influence on her career. Her varied performances and projects include House of Blues Move to Groove Ball, Key Club Choreographers Carnival, Mandalone Projects, Greek Theatre Youth Celebration, cast member of Sister Ella with Director Larry Heart & music master Michael Jackson, Fame LA TV Series, HBO’s The Tracey Ullman Show – Tracy Take On & State of the Union productions, and other various music videos and TV/film projects. Now living in Marina California she is proud to be part of a new community. She currently directs the dance program at Robert Louis Steven School in Carmel, California. While changing the direction of dance at RLS, she hopes to reach out locally to help guide a new generation of young artists. Mae Ignacio’s approach to teaching dance fitness is through encouragement and positive reinforcement. She enjoys seeing her students smile while feeling successful learning the choreography during each class. Her love of dance brought her to teach HOT HULA fitness and U-Jam Fitness™. She has been sharing the exhilarating experience of HOT HULA fitness and U-JAM in the Monterey Peninsula for 5 years. Mae’s goal is for everyone to have fun and to make you forget that you’re working out, so you can’t go wrong with trying her classes. Mae is a certified NESTA (National Exercise and Sports Trainer) Primary Group Exercise Instructor and is also CPR certified. She is a licensed for HOT HULA fitness (Master Trainer), HOT FUSION fitness (Instructor/Area Manager), U-JAM Fitness (Instructor/Coach), Fierce FUNk Dance Fitness (Instructor) and . As Mae says “We are all at different fitness levels so work at your own pace, be patient with yourself, and most importantly, have fun!.” Mae has also performed in musical productions (2001-2004) such as, West Side Story, Ghost in the Box, Joseph and the Technicolor Dreamcoat, Little Shop of Horror, and Grease. Melissa Karasek has been a dancer and performer since the age of two. Growing up, she trained in various styles at Studio 10 Dance in San Jose and at Carmel Academy of Performing. In high school, she danced with the award winning Pacific Grove High School dance team and then continued coaching the team for four more years after graduating in 2009. 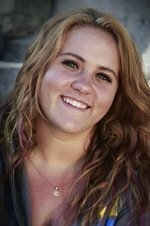 While coaching for PGHS, Melissa taught ages 3 to adult in a variety of styles at Rockstar Dance Studio, Monterey Youth Center, and Robert Down Elementary. She, also, danced with the Infamous Night Rockers dance crew at CSUMB for their final season and was a part of Choreology dance crew from Salinas for two years whom she performed with at World of Dance twice. In 2013, Melissa moved to Los Angeles to gain experience and knowledge within the commercial dance industry. While in L.A., Melissa performed with companies including LA Unbound, Amaterasu Dance Company, and Fiasco Dance Crew and was hired for several independent paying jobs. She, also, spent time working with Leslie’s Scott’s E.D.I.F.Y. Movement dance non-profit, assisted with Leslie’s classes at EDGE Performing Arts Complex and Millennium Dance Complex and taught hip hop and jazz funk fro Amaterasu Dance Company. In 2014, Melissa began leading Walk and Roll Foundation’s wheelchair dance team with Chelsie Hill and still travels to L.A. to choreograph for them and is a a member of their Board of Directors. Recently, Melissa has moved back to Monterey peninisula to finish a business admin degree at CSUMB and is excited to begin teaching at SpectorDance. Her favorite styles to teach includes jazz, ballet, and modern, and her favorite styles to train in and perform is hip hop and jazz funk. Lauren Silver is a recent transplant from Los Angeles, where she has danced, taught and choreographed Musical Theater for more than 15 years. She studied dance and Shakespeare at UCSC, where she performed with Shakespeare Santa Cruz locally and in their touring company. She is thrilled to be joining Spector Dance. She is current working on her Master‘s Degree at The Monterey Institute of International Studies. Dominique Kersh has been dancing intensively for over ten years and has primarily focused in the area of classical and contemporary ballet. At the age of twelve, she began her training with Mellissa Allen Bowman and Maud Watcher at California Conservatory of Dance. By the age of sixteen, Ms. Kersh transferred to the Maple Conservatory of Dance and continued her training with Charles Maple, Kristin Hakala, Patrick Franz, and Tong Wang. Upon graduation, Ms. Kersh decided to further her dance training at the collegiate level and was accepted into the Claire Trevor School of the Arts at the University of California, Irvine. There she studied under several prestigious dance figures such as Molly Lynch, Diane Diefenderfer, Shawn Boyle, and Tong Wang. She has just recently graduated with her BFA in Dance Performance and her BA in Education Sciences. Ms. Kersh has participated and collaborated in several original choreographic works created by professors and MFA students at UCI. Over the course of her training, Ms. Kersh was accepted into several summer dance intensives, some of the most memorable to her being Bachhausdance, Boston Ballet (two years attended), Joffery Ballet Chicago, and the American Ballet Theatre. This is Ms. Kersh’s first season dancing with SpectorDance. 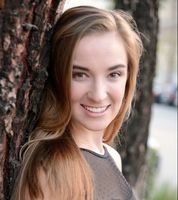 In addition to being a company member, Ms. Kersh will be teaching dance for SpectorDance’s youth company. Dawn Trego received her training at the Yoga Center of Carmel. She has been teaching locally for 17 years and can adapt her classes for all levels (loves beginners). 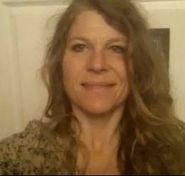 Dawn has a certificate in yoga training, licensed massage therapist, and has studied kinesiology. 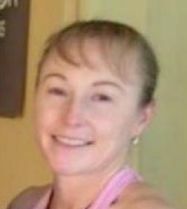 Jacqueline Thompson grew up in Marina and has been a licensed zumba instructor for 2 years. She is licensed for Zumba Fitness, Zumba Gold, Zumba Kids, Zumba Kids Jr and Zumba Step, also completing Zumba Pro Skills and other professional development courses for licensed zumba instructors. 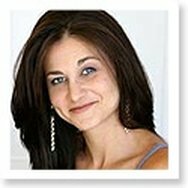 Jackie has a strong passion for Zumba, nutrition, health & wellness. She has worked in the nutrition field for nearly 25 years, beginning as a nutrition educator in 1989, a registered dietitian in 2001 and a certified diabetes educator in 2005. She holds a B.S. in Nutrition and M.S degree in Nutritional Science and has a medical exercise specialist certification and an AFAA group fitness instructor certification. Jackie takes a holistic/integrative approach, emphasizing optimal health and chronic disease prevention. In addition to teaching 4 zumba classes per week, she has worked at a diabetes education center for 11 years and has maintained a part-time private practice since 2003. Two years ago Jackie began advanced study in functional medicine and functional/integrative nutrition and is currently completing advanced practice courses offered through the Institute for Functional Medicine (IFM) required for the Board Certification in Functional Medicine. Yuki Takenaka has been performing tap dance since 2002. She studied tap under Kazunori Kumagai, a prominent tap dancer in Japan and a recent winner of Bessie Award. 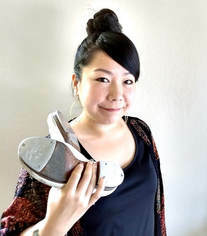 As a member of Kumagai’s company, she has also taught tap dance for several years in Tokyo to students ranging from 5 year old to 80 year old. Since her move to America, she enjoys performing sessions with local musicians.